Wrestling Forum: WWE, Impact Wrestling, Indy Wrestling, Women of Wrestling Forums > Other Pro Wrestling Forum > Other Wrestling > Lucha Underground > I don't have the El Rey Network - How can I watch Lucha Underground? I don't have the El Rey Network - How can I watch Lucha Underground? Firstly, let me apologise for this lengthy read in advance but I feel that it could potentially be helpful for many users on this forum. It is a post designed to make in order to make the whole 'how can I watch Lucha Underground' question a lot easier to answer in one place, especially for those who are not living in the continental US. As far as I can tell, Season 2 only airs on the El Rey Network in the US on Wednesday night at 8pm Eastern, with a 9pm repeat. The only other place where the show is broadcast is in Canada, I believe that it is shown on Sunday nights at 10pm Eastern on the Telelatino Network. I don't think the UniMás Saturday slot from season one is in place this year, so currently there it appears as though there is no Spanish language version or any broadcast on television in Mexico. So, as of right now at least, there is no way to watch the show on television unless you a) live in the United States or Canada and b) your cable provider carries the appropriate channel. I understand that Lucha Underground is working hard to get television deals in both Mexico and the United Kingdom, but currently this is where we are at. They are also trying to get some sort of on demand service, many of you may have seen the 'coming soon' message on the El Rey Website but there is nothing concrete as it stands. This is my attempt to point you in the direction of where you can find episodes. After this, you have a few options for getting the show, The first being Sling TV, wish is a streaming service that was launched in 2015 by Dish Network to be a serious alternative to a cable subscription. El Rey Network is featured within Sling TV’s basic package, meaning it is one of the best and easiest ways to watch Lucha Underground online. Not only can you watch Lucha Underground full episodes live as they air, you can even watch some of the episodes on-demand. Sling TV has a rotating on-demand content library, which will likely let you catch up on any episodes you may have missed. Sling TV’s basic package has over 20 additional cable channels other than El Rey Network and you can watch a Lucha Underground live stream on your computer, phone, tablet, or even TV with a connected device like Roku or Chromecast. The basic package costs $20 per month. Not only is it cheaper than cable but there is no contract required and you can cancel at any time you wish. You can sign up for a free 7-day trial of the service or look to see what other special deals they have up at the minute as well. Outside of the United States, there is no way you can watch Lucha Underground through your television set (without connecting it to your computer at least). There are a few options available to you, however, to ensure you do not miss out. Firstly, unfortunately the FuboTV and Sling options will not work outside the US (I was even unable to use them through a VPN) but if you absolutely have to see Lucha Underground live, you can find a stable stream at http://taima.tv/r/wooo . I personally used this for Ultima Lucha and then again for season 2 premiere, as I was concerned that I would not be able to find a download in the UK this season. As it turns out, I was able to find a 1080 download only 5 or 6 hours after the show finished(more on that later), but the stream impressed me as it was steady throughout the show, even with over 5,000 people using it. You will, of course, have to be watching this at the times the show is shown in the US, So depending on your location this option may lead to a few late nights, but it is probably the best way of watching the show 'live' currently. The day after Lucha Underground airs, you can usually find the episodes in a few different ways. On sites like DesiRulez, XWT, Dailymotion etc, links will start to pop up for downloads, torrents, online streams etc. often quite early. I don't particularly want to post links to these sort of sites for fear of breaking wrestlingforum rules, but whichever is your preferred way of watching may be,you should be able to find it through this method with a little bit of looking around. Some of the downloads are good quality and this is my preferred method as I like to put them on my television, which can be done by downloading the file onto a USB stick and then plugging it into either your television or Playstation etc. Another option is to connect the TV to the computer with a HDMI cable. Or you can just watch on your device, But the options are plentiful. Recently I have been trying out using the Exodus plug in for Kodi which allows you to stream any tv show or movie, it worked very well for me too. It is very simple to set up and, providing you have fast enough internet, will give you no issues in watching through the episodes. Where can I watch Season One? As of right now, there is no DVD release for season 1. Again, It is said to be in the works but currently there is no product available. El Rey Network have been running marathons over Christmas and in the build up to season 2, and they tend to do so throughout the year also. If you want to see the first season either to catch up on what you have missed or to re-watch past episodes, you can find season one packs on the same sites I mentioned earlier, either in HD or standard definition. The link to these full season packs can also be found in my signature at the bottom of this post. Hopefully this should help answer any questions and help you to watch the show. What I will say is that if you used one of these workarounds set out here and you either enjoyed the show or were thankful for having a method to watch the episodes then please show your support the show however you can, be it financially or on social media. Follow Lucha Underground on Facebook and Twitter, use the #luchaunderground when posting and help to spread the word. If you are in the US, head over to the Lucha Underground store (https://squareup.com/market/luchaunderground) to purchase a t-shirt or other item. Outside the US, the only way you can get merchandise currently is through the Pro Wrestling Tee's store (http://www.prowrestlingtees.com/prom...derground.html). If you believe in the show and had fun watching the episodes this is a good way to help out, and you will get some cool merchandise to show off as well. I personally find that XWT is the best option if you are to download the show and Kodi is the best option for streaming the show. All you need to do is download the app and the Exodus add-on (It is simple and only takes 30 seconds) and then you can stream any of the episodes from season 1 or season 2. I hope that this has been helpful to some of you. I know some people disagree with the posting of links, but the fact is currently a lot of us live in a region where the are no legal ways that we can watch the show so have no option but to search out online means to watch episodes. The aim of this was certainly not to get people to watch the show without having to pay for the channel, but more to get as many eyeballs as possible on the product. These links will be removed as soon as an on-demand service or a blu ray or dvd of season 1 is released. If you are have any questions about or issues with any of the links or methods set out in this post please feel free to contact me and I will try to help as much as I can. Ramsay Bolton, BoogieWoogie, TheRealFunkman and 10 others like this. Re: I don't have the El Rey Network - How can I watch Lucha Underground? Great. I do have El Rey, but this is great for the people who don't. It’s only been a few days and this is already the best section of WF. Great work @ArnDaddy I think this one deserves to be a sticked thread. This one is for you mate! BoogieWoogie, ArnDaddy, 3MB4Life and 2 others like this. Vote for Monthly Aztec Awards! The best wrestling show has the best section. SWITCHBLADE SHOOK and Jaunties like this. I was gonna watch some of the first season eps via those DailyMotion links (cos I want to get into it and see what everybody is talking about! ), but most of them lead to 'page not found' Only the first one works. Drago and Jaunties like this. Edit: I found working playlist on dailymotion, but it's with Italian commentary. You can always try to check few from ArnDaddy's sig. You don't have to download all episodes at once. Last edited by Drago; 01-29-2016 at 06:55 AM. I think Fubo is available outside the US as well. 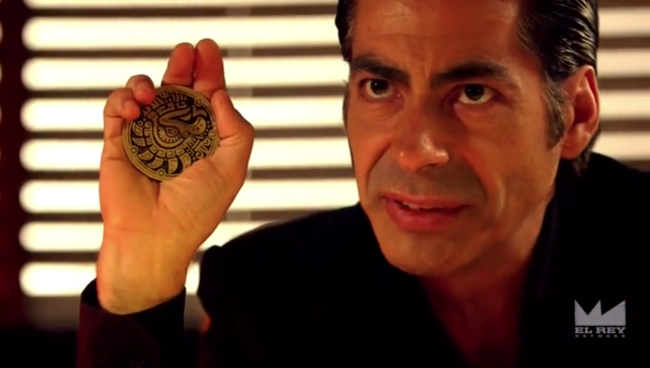 TLN Television and Lucha Underground announced details on the promotion’s season two premiere in Canada this week. The second season will premiere on TLN at 10 PM ET/PT on January 31st.